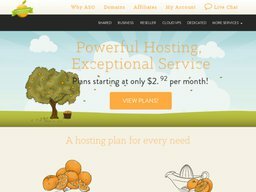 A Small Orange is a web hosting company targeting both individuals and businesses, located at ASmallOrange.com. The privately held company is headquartered in Durham, North Carolina, United States, with offices in Austin, Texas, and servers in several other locations. They offer everything from basic shared plans to dedicated servers, and now also have cloud options as well. These are very cost effective because they use A Small Orange coupons, a list of which we keep up to date here at Coupofy. The business was founded in 2003 in Atlanta, Georgia, moving to North Carolina in 2010. They currently have over 80 permanent employees, and generate yearly revenues of over $3 million. A Small Orange provides 3 core hosting categories, each which can be fine tuned for your individual needs. Shared hosting is for websites with low traffic numbers that can get by sharing resources with other users. You get your own account, FTP and management tools, but don't have root access or the resources to expand very far. Dedicated Servers allocate you your own single or multiple servers at the data center, giving you full access to the back-end, as well as a lot more resources to host your popular content or business website. If you're not an expert you can choose a managed plan where support staff take care of most things. The newest option is Cloud VPS, which allocates you resources from a vast network of cloud servers. While you'll initially pay for certain package, the nature of cloud hosting means you can upgrade and downgrade instantly depending on how many resources you need at any given time. This helps you save money but also ensure your site never goes down due to traffic spikes. Pricing starts at just $30 per month. If you're looking to make money A Small Orange also offers reseller accounts, which means you can sell your resources on to your own customers. Other services include web design and website builder tools. You can also register domain names. A Small Orange accept all major credit cards for payment (including Mastercard, Visa, American Express, Discover), as well as Paypal. Many hosting plans are recurring monthly payments, though you can also pay for a year or two years up front if you wish. 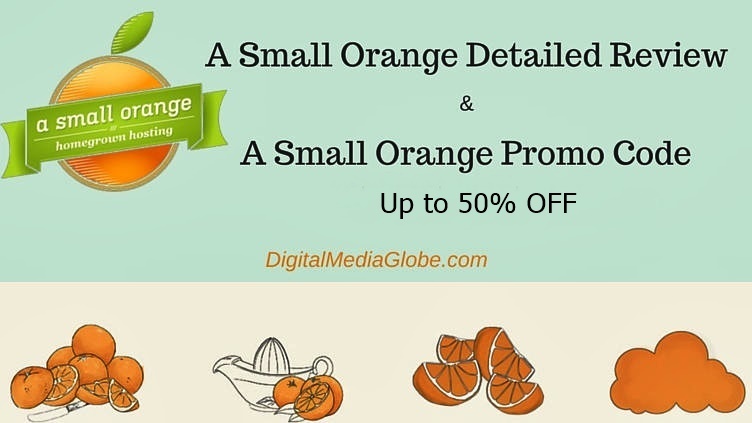 To redeem A Small Orange coupon codes, simple paste the code in to the promotional box before payment. Your product can be cancelled at any time before the next billing period and you will not be charged. Unless there is something wrong with the service you cannot get a refund for a period you have already paid for. If you cancel in advance of the next billing period you will still have access to the service until it expires. If you do get a refund and you have used A Small Orange coupon code, you will obviously only be refunded the amount after the code is applied. @TarikbyDesign Hello Tarik! We are now following you. Can you please DM us a TICKET ID or anything related to the issue? Thank you. @AriadTuppen That's great! We are glad you were able to connect and get further help! Have a great day! @AriadTuppen Hello, please try contacting our live support chat as a new customer and see if you can connect.